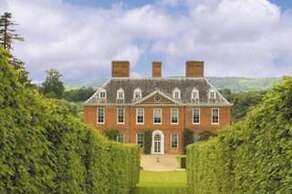 The home of Sir Winston Churchill for 40 years. The house is set on the hillside, commanding sweeping views over the Weald of Kent. His studio is within the garden walls with many of Sir Winston’s paintings. Set in 35 acres of grounds including a lake open to fishermen, a rose garden, and magnificent woodland, this beautiful castle can be traced back to the early 1500s. View the stunning collections of Egyptian and Buddhist artefacts, magnificent Japanese armour and beautiful Jacobean paintings. Mant special events such as the Literary Festival, Country Fair and Christmas Fair. From traditional heritage gardens to the excitement of the Enchanted Forest, Groombridge Place provides great day out for all ages. Plenty of entertainment for children with the woodlands, playgrounds, treasure and Easter egg hunts. 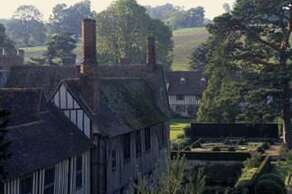 The home of the Bullen family and the well known daughter, Anne Boleyn, who was the second wife of Henry VIII. 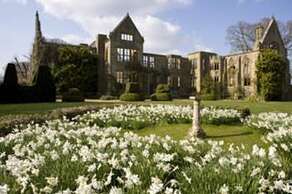 Also home of Anne of Cleves, the fourth wife. 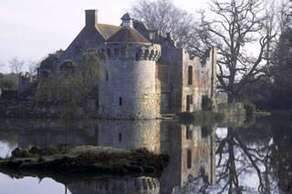 Magnificent moated castle and splendid gardens. 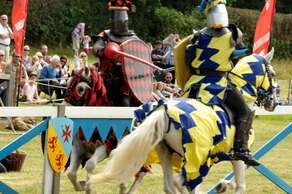 You can also go back in time and see Jousting Tournaments in the summer months. 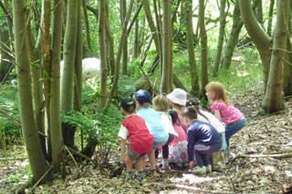 Many children’s activities throughout the year. 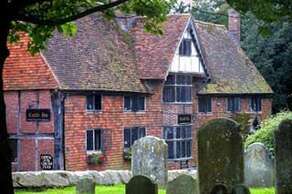 One of the oldest and loveliest medieval manor houses to survive in England. Built about 650 years ago and now maintained by The National Trust. Open to visitors for the past 500 years, thirteen show rooms remain much as they were in the 18th century, when they were laid out to impress visitors with the Sackvilles’wealth. 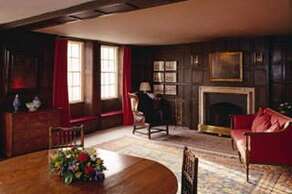 The house includes world-renowned Stuart furniture, important paintings and the prototype of the famous Knole settee. 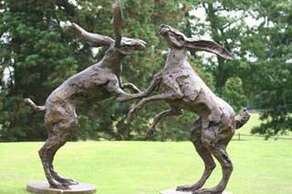 The house is set in the heart of the only remaining medieval deer park in Kent (sika and fallow deer roam freely). 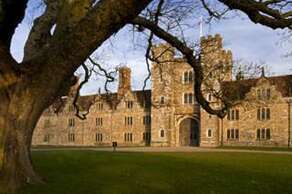 Knole has recently undergone some extensive renovation and the development of a conservation centre. 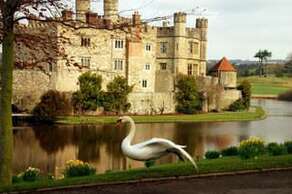 Combining 900 years of history and 500 acres of beautiful parkland, Leeds Castle is open all year round. A blend of heritage and history, glorious gardens and attractions, licensed restaurant and fun-packed programme of events allows you to create a great day out, whatever you choose to do. Ancestral home of the Sidney family for 450 years, since Edward VI granted the estate to Sir William Sidney in 1552. 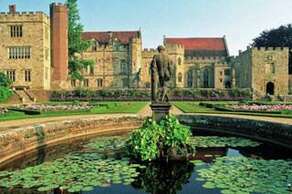 Well known for the magnificent Great Hall and splendid gardens. This Grade I listed gabled house in the beautiful village of Westerham has features of significant architectural and historical interest. Quebec House was the childhood home of General James Wolfe and is full of family and military memorabilia. Scotney is not one but two houses. At the top of the hill is the new house, designed by Anthony Salvin in Elizabethan style and built in 1837 for Edward Hussey III, who took the ‘Picturesque’style as his inspiration. At the bottom of the valley are the romantic ruins of a medieval castle and moat. This is the focal point of the celebrated gardens featuring spectacular displays of rhododendrons, azaleas and cameleas in May/June. This beautiful 17th century manor house has been the Warde family’s home since 1731. It is surrounded by attractive gardens in a parkland setting with views over the Kentish countryside. Stunning location for weddings and private parties, producing their own sparkling wine. This gem of a late Victorian family home brought vividly to life by Arts and Crafts Movement. 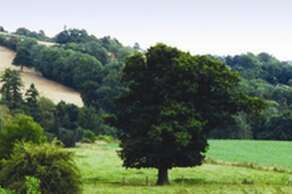 Standen is hidden at the end of a quiet Sussex lane with breathtaking views over the High Weald and Weirwood Reservoir. 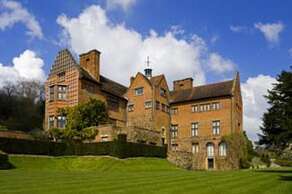 The design of the house is a monument to the combined genius of architect Philip Webb and his friend William Morris. 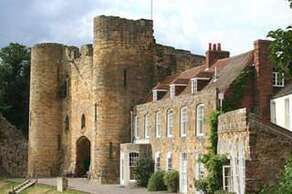 Tonbridge boasts Kent’s best example of a Motte and Bailey Gatehouse. It’s story is interwoven with that of kings and archbishops, tyrants and heroes, murderers and mercenaries who, on this ancient site and inside these weathered stone walls, have helped write 900 years of English history. 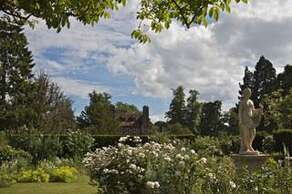 Described as ‘One of the country’s truly great gardens’by Country Life magazine. The formal garden is planted as distinctive ‘rooms’, each offering an abundance of colour and interest throughout the seasons. Have fun in the adventure playground, relax with a lakeside picnic - there is so much to make a great family day out. An Edwardian estate owned by Frederic Lubbock. The delightful garden was laid out in the late 19th century and contains many exotic and rare trees and shrubs from across the world. 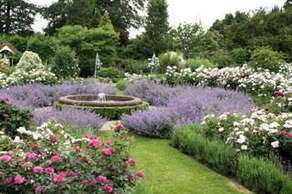 Explore the rose and rock gardens, take in the spectacular views and enjoy glorious shows of spring flowers and shrubs. 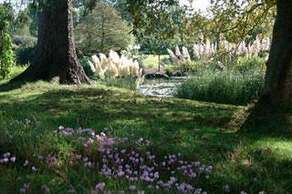 27 acres of magnificent woodland and water gardens, full of rare, exotic and unusual plants;RHS award winning plants, a botanical treasure trove, and one of the great gardens of Sussex. The plant collection includes specimens from many parts of the world and Champion trees –supreme examples of their type. Set within the grounds of Lullingstone Castle, the World Garden is the UK’s first of its kind containing plants from around the globe, planted in their respective countries of origin. This is the vision of modern day plant hunter Tom Hart Dyke. 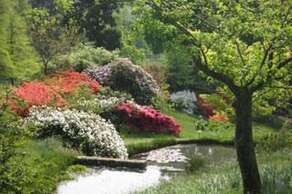 In the late 19th century an unusually creative family bought the Nymans estate. Inspired by the setting and the soil, the Messels created one of the great gardens, with experimental designs and new plants from around the world. Enjoy relaxing times, strolling in the garden, playing, picnicking and walking in the woods. A quintessential English garden located on the Sussex and Kent border in the heart of South East England’s garden country. A winner of the HHA / Christie’s Garden Of The Year Award, Pashley offers a sumptuous blend of romantic landscaping, imaginative plantings and fine old trees, fountains, springs and large ponds. Special events include tulip festival, dahlia festival and craft festival. This magnificent informal landscape garden was laid out in the 18th century by ‘Capability’Brown and further developed in the early years of the 20th century by its owner, Arthur G. Soames. The original four lakes form the centrepiece. 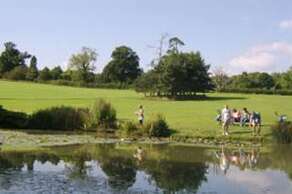 Visitors can now also explore South Park, 107 hectares (265 acres) of historic parkland, with stunning views. 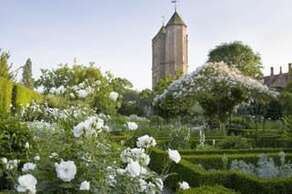 Sissinghurst is well known for the White Garden constructed by Vita Sackville-West. It is a garden in the ruin of an Elizabethan house, set in the middle of its own woods, streams and farmland and with long views on all sides across the fields and meadows of the Kentish landscape. 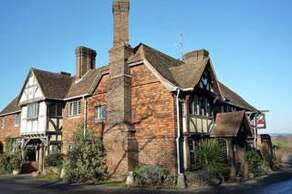 It had been a medieval manor house and was visited by Queen Elizabeth in the 16th century before falling into ruins and being mistreated for nearly 300 years. Explore 188 hectares (465 acres) of country estate in West Sussex with ornamental gardens, temperate woodlands and an Elizabethan Mansion. You can join in on seasonal walks and themed tours and also visit the Millennium Seed Bank to see scientists at work and discover how Kew is helping to safeguard the world’s most endangered plants. 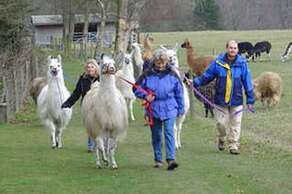 The Ashdown Herd of llamas and alpacas was started in 1987. Over the years the numbers have increased and now there are more than 100 llamas and alpacas at the Park. The Llama Park is also home to eight beautiful reindeer. There is also a museum, Gift shop and visitors centre. Excellent children's day out. Drusillas zoo has plenty to offer. With attractions such as Lemurland, Thomas the Tank Engine, Amazon Adventure, Cruncher the Croc, Zoolympics, Adventure golf, Penguin Plunge and much, much more you will won’t run out of things to do. Children - take your swimming costume for their special water park! Go Ape is an adrenalin pumping tree top adventure. The high wire adventure course in Bedgebury forest consisting of rope ladders, zip-lines, rope bridges, trapezes and swings. Once you are kitted out with harnesses, pulleys, karabiners and a 30 minute safety briefing you are let loose into the forest canopy, free to swing through the trees. 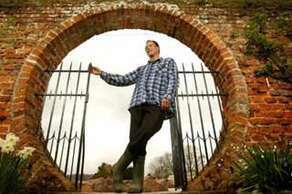 200 years of farming life in the heart of the Sussex Weald. Set in 100 acres of beautiful parkland, Heaven Farm is steeped in 600 years of farming history, and includes the Bluebell nature trail, wallabies and rural life museum. The organic farm shop has a wonderful selection of organic treats including fresh local produce. Packed full with fantastic new features, attractions and exhibitions to entertain the kids and fuel their imagination. With plenty of indoor and outdoor attractions such as Pirate Cove, Giant jumping pillows, Magic Factory and Mini funfair you will enjoy your day, whatever the weather! Discover the Everest trail with incredible views, let your Little Sherpas’imaginations run wild in our Himalayan Hideout, spend time building dens together, lose yourself in the Himalayan Maze and perhaps even spot the elusive Yeti. This is a huge garden of family fun and outdoor adventure. Originally a deer hunting forest in Norman times, Ashdown Forest is now the largest free public access space in the South East. 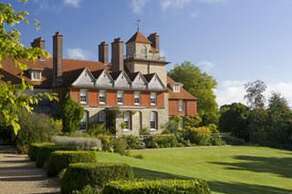 It is a great place for walking and enjoying spectacular views over the Sussex countryside and is known the world over as the ‘home’of Winnie-the-Pooh. 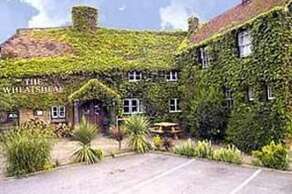 Details about the Ashdown Forest Tourism Association can be found here. 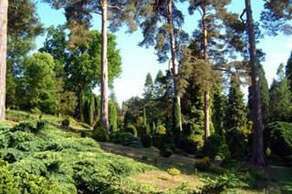 Thanks to the Forestry Commission and friends, the National Pinetum Bedgebury is now a leading outdoor visitor attraction in the South East and has created an internationally renowned conifer collection, which is the most complete in the world. Enjoy the exciting children’s play areas, mountain biking for all levels and the tranquility and beauty of the Pinetum. 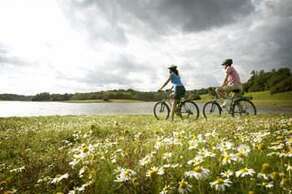 Bewl Water is many things to many people - a place to walk, cycle, ride, challenge yourself learning a new water sport, entertain the family or simply unwind and relax. There are activities for all ages and interests, plus great events throughout the year. With miles of footpaths discover the beautiful Eden Valley. The River Eden meanders through the Eden Valley in the heart of Kent. On either side of the river lies tranquil farmland, broken by quiet country lanes, whilst the rolling hills and woodland conceal a wealth of historic properties and beautiful gardens. Many attractions throughout the Eden Valley. 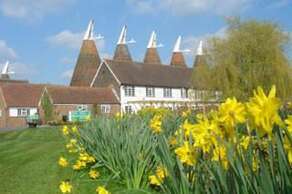 Is the leading active conservation charity in Kent, founded in 1958. 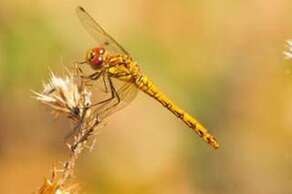 Protecting wildlife, educating the public, influencing decision makers and restoring habitats. Their reserves include a range of habitats of extraordinary beauty, that accommodate much endangered wildlife. The Trust manages over 62 reserves covering more than 3,000 hectares of land for wildlife including over 55 miles of roadside reserves. Every landscape has a story and the High Weald is no exception. 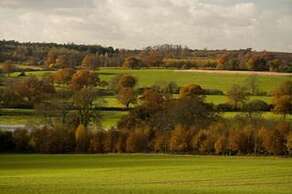 Its key features - its rolling hills, scattered farmsteads, small woodlands, irregular-shaped fields, open heaths and ancient route ways - were created by the end of the 14th century - the High Weald is essentially a medieval landscape. Please click on the link below to view the vast amount of walks and activities available within this stunning landscape. The historic Bottle House Inn has been looking after weary travellers and hungry locals for longer than anyone can remember. And with its beautiful bar area, stylish restaurant and pretty garden, it’s never been a better spot to relax and refuel than it is today. Enjoy delicious food, well kept ales and a truly excellent wine menu - all in the heart of some of the most beautiful countryside that Kent has to offer. First mentioned in 1420 and was known as Waterslip House, the historic &beautiful Castle Inn is nestled in the tranquil National Trust village of Chiddingstone, Kent. Great for summer evenings in the garden or cosy meals by the fire. Located in the quaint village of Cowden, just down the road from Becketts, the Fountain building dates back to the Eighteenth century. Serving locally brewed beers by Harvey’s of Lewes. Traditional English fayre from fresh fish and steaks to sandwiches, cut to order. Cosy village pub feel especially when the log fires are burning. This pub is approxmately one mile away or 25mins walk through the fields. 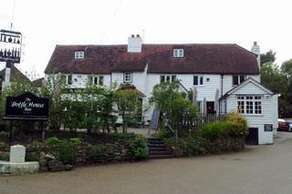 The Greyhound Inn at Hever is a family run pub/restaurant. A cosy bar area. 40 seater Restaurant. 2 separate Bar rooms for eating &drinking. Secure garden to the rear of the pub &off road parking. 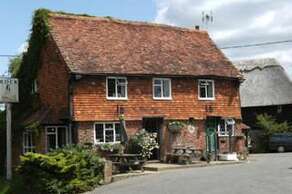 Located in the Kent village of Markbeech The Kentish Horse has a warm and friendly atmosphere of a traditional English country pub. 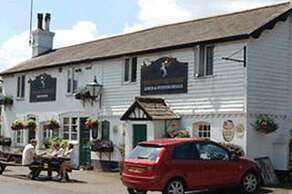 They stock a wide range of well kept cask beers, lagers and ciders including the ever popular Larkins bitter, brewed two miles away in Chiddingstone. Great Sunday roast, booking essential in busy times. 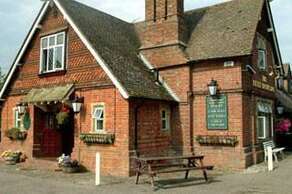 Special event in June called Pig Ale - many talented groups playing and singing in the pub, marquee and village hall. All weekend event with some camping. Situated in the tiny, attractive village of Hever right next to Hever Castle, The King Henry VIII is a beautiful olde English pub. Warm and friendly welcome with a spacious interior that is full of traditional character. Delicious food and real ale served. 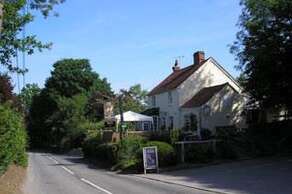 Offering simple hearty home made British food with a decent wine list and well kept ales. Food is served all day every day which makes it ideal to pop along for a late lunch or early dinner. Beer garden and lots of character, three real log fires and no gaming machines! What you get at The Spotted Dog, Penshurst, is an independently run lovely old rambling 15th century white clapboard building, low beams and three open fires. It is warm and welcoming in winter but equally enticing in summer. The food is mostly traditional English with some gourmet specials and fish dishes with fresh fish delivered daily. There are always four different beers available, normally a Larkins, Harveys and two guest beers and an extensive wine list. According to local tradition the older part of the present day Wheatsheaf was formerly a hunting lodge owned by Henry V. The structure of the timbers and the wonderful crown post, revealed during renovations in 1996 certainly indicate the building dates from the latter part of the 14th century. 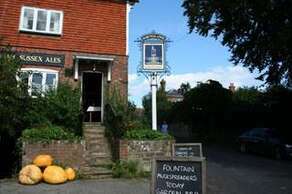 Renowned for its good food and its warm welcome from the friendly staff it is well worth a visit. 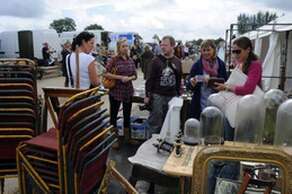 From Antiques &Collectors Fairs to Agricultural shows, Ardingly hosts some of the biggest events in the UK. The South of England Show attracts over 90,000 visitor, who enjoy the sights and sounds of harvest time with attractions including country sports and crafts, falconry, sheep dog displays and vintage machinery. Details about Agricultural shows can be found here. Brands Hatch is a motor racing circuit near Swanley in Kent. 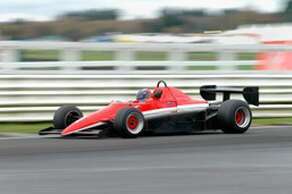 First used as a dirt track motorcycle circuit on farmland, it hosted 12 runnings of the British Grand Prix between 1964 and 1986 and currently holds many British and international racing events. From iconic Brighton tourist attractions to beachfront cool, Brighton is a treasure trove of things to do and places to go. Vibrant, colourful, fun and free, Brighton offers the energy of the city and freedom of the sea. It really is unique. From the stunning heritage of the Royal Pavilion, Regency architecture and Victorian aquariums to the traditional seaside fun of the famous Brighton Pier and pebble beach, Brighton offers something for every walk of life. 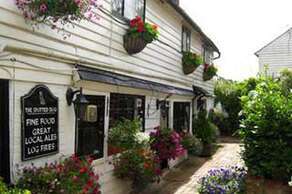 Edenbridge is a small town just 3 miles from Becketts. Here you will find a cash point, supermarket, pubs, restaurants, Sport Centre and much more. There is also a small museum that will tell you about the towns history and surrounding area. Details about the Eden Valley Museum can be found here. Tophoto has many historic photos and special exhibitions. Details about the Tophoto can be found here. © Copyright Nigel Freeman and licensed for reuse under this Creative Commons Licence. 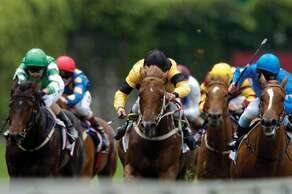 Lingfield Park hosts a variety of race meetings all year round that include Flat and National Hunt racing, family days, racing &music nights and the ever popular ladies’evening. Known as one of the most picturesque racecourses in the UK and nestled within 450 acres of rolling Surrey countryside, it is the perfect setting for a great day at the races. 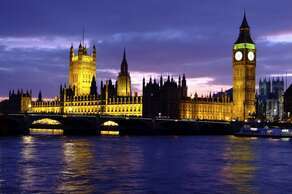 With London only 55 minutes away on the train you can spend plenty of time looking around this fantastic city. Top 10 attractions:British Museum, National Gallery, Tate Modern, Natural History Museum, The London Eye, Science Museum, The Tower of London, National Maritime Museum, Victoria &Albert Museum and Madame Tussauds. Go from Becketts - Cowden station just 0.5 miles away, or walk through the woods (20 minutes) then direct train to London. Travelcard covers rail, tube and buses for the day. Details about the National Rail can be found here. 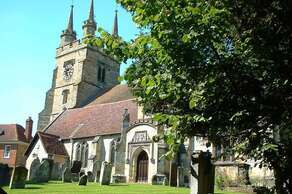 Penshurst village lies between two rivers in glorious Kentish countryside and boasts an ancestral home which has stood alongside the church for over six hundred years. This, along with the village inn and cricket still played on one of the oldest pitches, makes it a very English village. For any train enthusiast this is a great area to visit and ride an array of steam, diesel, miniature trains and even Thomas the Tank Engine and friends. The Flying Scotsman coming this Spring on the Bluebell Railway! 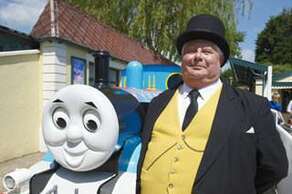 Details about the Bluebell Railway can be found here. 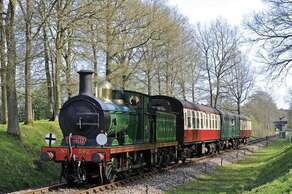 Details about the Kent and Sussex Railway can be found here. Details about the Romney Hythe and Dymchurch Railway can be found here. Details about the The Spa Valley Railway can be found here. 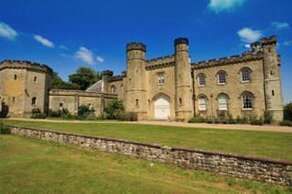 Royal Tunbridge Wells is a large town just a 20 minute drive from Becketts. In Georgian times, this historic spa town gained a reputation as the place to see and be seen. Today visitors can have a relaxing day out, exploring the towns history, shopping, enjoying the wide selection of places to eat and drink and later, go to the theatre or dance the night away in the towns nightclubs. 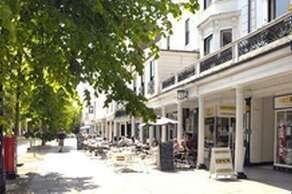 Details about the The Pantiles can be found here. Becketts is situtated on a footpath and there are many lovely walks from here. 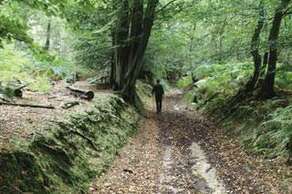 A very popular walk is to Chiddingstone village via Mark Beech and Hever which is descibed in the link below. 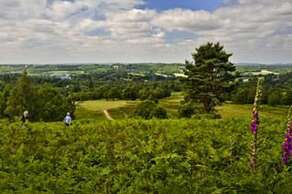 Another nearby area is the Ashdown Forest, just five miles away, where Winnie the Pooh lived. You can visit Pook Sticks bridge and Hundred Acre Wood.